ORANGE WALK TOWN, Orange Walk District, Thurs. 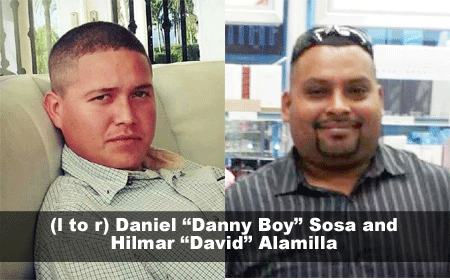 Sept. 14, 2017–UDP henchman Hilmar “David” Alamilla, 42, was charged for the July 29 murder of Daniel “Danny Boy” Sosa, 24, who was shot once in the head inside Alamilla’s vehicle. The shooting incident, which occurred just after the men left a popular night club in Orange Walk Town, was witnessed by two persons, who gave statements to the police in Orange Walk Town about what they saw that fateful night. Gustavo Hernandez, 21, was one of those two persons. However, he was executed on Sunday, September 10. Now there is only one witness left to tell the tale. Hernandez was walking with a female companion on the San Antonio Road in the Orange Walk District at about 5 a.m. that Sunday morning when a masked murderer on a bicycle rode up, shot him three times in the head, and then fled the scene. Hernandez was rushed to the Karl Heusner Memorial Hospital (KHMH) in Belize City, where he succumbed to his injuries at about 6 p.m.
Sources close to the victim’s family have told Amandala that they believe that Gustavo Hernandez was lured to his death by his female companion, who immediately fled the scene at the sight of the gunman. Hernandez, we are told, knew that some person or persons wanted him dead. We are told that he had received death threats, but he never made any official report to the police. Sources close to the victim’s female companion have denied her involvement in his killing. We were told that when she saw the masked assailant, she ran into a nearby yard for cover. On Tuesday, the Officer Commanding Orange Walk Police, Senior Superintendent David Chi, held a press conference in which he revealed that he had arrived at a motive for Hernandez’s murder, but would not share it with the public. According to Chi, he saw Hernandez several times before he was killed, but he never indicated that he was being threatened. Amandala understands that the only remaining witness in the case against Alamilla may have also been threatened. According to Chi, however, that person has to make an official police report before the police can provide any assistance. 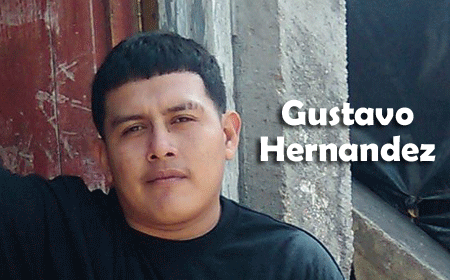 Gustavo Hernandez leaves behind a one-year-old daughter.